Subscription services are today’s alternative solution to owning what may fast become yesterday’s technology. Imagine buying eight track cassettes, cassettes, vinyl, betamax, VHS, mini discs etc, today. Yes, some still do but for the majority of us, these are yesterday’s technology both in terms of devices and media. During the last ten years we have achieved many things in the ebook arena and many old formats and devices have come and gone. Do we expect tomorrow to be any different? Do we expect to still be able to read and enjoy that ebook download in say 10 or 20 years? Do we even want to read the book again? Subscription services coupled with deep and board repositories and on demand technology start to change consumer behaviour and values. Technology devices are becoming media agnostic, or should that be the other way around? Media is no longer confided to what your device can hold or a location but is now dependant on the network, or initially at least. However as subscription serves and fail to grasp that ebooks are different to journals, film, music and even short form works. 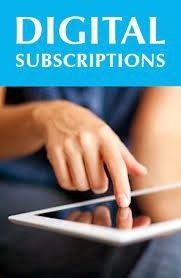 So we have the question of ebook subscription and whether it can follow other media and be successful in the on demand world? The answer is yes and no. First the yes would appear to be logical. A sort of return to the old book club but not restricted to a limited number of physical stocked titles but open to all titles. A club that cater for the eclectic tastes of readers. A place where readers can discover new authors, experiment with new genre and do so often within an ‘as much as you can read’ contract. A place where authors can show their wares and potentially engage with their readers. In addition it could offer a service where your library is virtual and the shelves never swag under the weight of old book s.
However, the reader has to get value for effectively licenced access as opposed to outright ownership. The challenge is that there is not an average rate of reads per month, per week or per year. To the person who reads a book a week or even more than this the offer may sound like ‘manna from heaven’, but to the person who struggles to read one book a month or is somewhat erratic in their habit, they offer may have little appeal. The point is that we are trying to get more people reading and not just appeal to the minority who are already hooked. This is a serious issue and one of the main reasons for the demise of the old book clubs who found themselves trying to feed a habit which was on the wane as their members became increasingly time poor. The STM journal market has been built on subscription model but is very different in its creation and consumption model. The authors give their material for free, the articles are often peer reviewed for free and the journals are ‘sold’ back to the institutions on a title not firm commitment basis. In other words there is no guarantee that a said member of issues or articles will be published and there is no refund at the end of the year. The material itself is a ‘must have‘ for the institutions and the publishers offer review and authentication within their value proposition. This is far removed from the trade sector and today’s ebooks that it is somewhat irrelevant. We must remember that there are two critical people in the value chain, the reader and the author and that any subscription model for any media must also work at both ends of the spectrum. We have all read about the difference of opinion that has been aired over the royalties being received by artists from Pandora, Spotify and others. This itself does not mean that subscriptions are wrong or not rewarding for artists but says that the contracts and commercial arrangements made were not always in the interests of all parties. We must also remember that the music business entered into such contracts on a different basis than would publishers and the volumes involved are significantly larger. The LoveFilm and Netflix market is also very different in and although it offers some interesting insights it is very different from the ebook trade and marketplace. We have the practical or impractical sides of measuring a ‘read’. Irrespective of whether the overall model is based on ‘as much as you can eat’ or not, the royalty payments have to be based on discovery, access reading or some element that constitutes a ‘hit’. It is only right that the books which are read should be paid a royalty. After all we don’t have to pay to enter a bookshop or library and it is the selection that should trigger payment. However, what constitutes a read? If I select a book open it ead the first page and put it down does that count? If I get half way through it and tire and again put it down, does that constitute a read? If I select a book one month but don’t read it for six months or even over six months, when is the royalty due? These and many more interesting options have to be clear to all parties. Also there has to be measures that obviate counting abuse and provide transparent audit by interested parties. When we engage with a new business model, or channel, we have to assume that it may be a major source of income in the future and therefore ensure that unlike some other sectors the terms are sustainable and equitable both today and potentially as the service grows. So subscription services look attractive to many and should be rewarding for all, but they should be entered into with eyes wide open and not half shut. YouTube: Dire Straights Or Huge Opportunity? McReading to a Healthier Future?